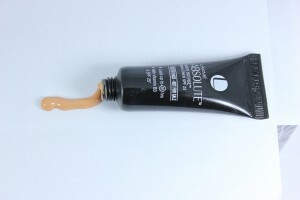 Lakme Absolute White Intense Skin Cover SPF 25 Foundation Beige Honey has unique formulation which hides fine lines, pores and uneven skin tone. Its water based, ultra light, oil free formula delivers naturally breathable, fair skin. It gives you impeccable coverage. 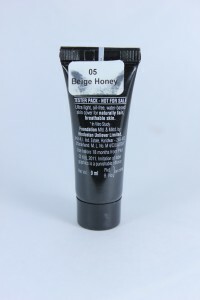 It has vitamin B3 and SPF 25 which gives you flawless fair complexion. Ummnn…The price of this product is Rs. 575. I have already tried Lakme White Intense Skin Cover in golden medium shade. I liked that product too much that I finally thought of giving a try to Lakme White intense skin cover in beige honey. The foundation has very ultralight texture… I like it. I just apply a pea-sized on my entire face. It blends easily into my skin. It clears out my face on application…I mean it gives good coverage. It looks natural on my skin. It doesn’t feel heavy at all. It gives a matte finish so I guess it’s an excellent product for oily skinned beauties. It stays on my skin for long time. I don’t need any touchups. It has nice fragrance. In summers. I usually keep foundation in refrigerator; I noticed that there are plastic mists over the bottle… I like that. If you have combination skin, then you might not like this product. I have oily skin. This foundation suits me a lot. It hides open pores and uneven skin tone. It makes my skin appear less oily. I don’t like my oily face…I mean it reduces oiliness. I love the matte finish. It also offers sun protection. The packaging is very sleek and classy. It lasts for 16 hrs. It offers matte finish…no need of applying powder on top of it. The container is opaque, so you cannot see how much foundation is left. I love this foundation. I am going to buy it again. If you have oily skin then I think you should try it once.